Breast Augmentation is a surgical procedure that uses breast implants to enhance the size of breasts or to enhance symmetry. It is also known as augmentation mammoplasty and chosen by many women across the world. In some cases, breasts are disproportionate in size and shape, or naturally small in size. In other cases, they may have reduced in size after a weight loss program, or pregnancy. This is where this type of surgery really works its magic and redefines breast curves altogether. Breast volume can be enhanced no matter what the reason, and give that it’s a relatively common cosmetic surgery now, the risks associated with it have reduced. As with other cosmetic surgeries such as rhinoplasty (nose job), otoplasty (corrective ear surgery), lip enhancement, face lifting etc., breast lift surgeries are now becoming increasingly popular. In fact, close to 20% of all surgical procedures carried out by cosmetic surgeons in 2010 were breast augmentations. Lipoplasty tops the list but breast lift surgery leaves behind all other plastic surgeries opted for by women aspiring to look more appealing and attractive. The statistics are gravitating heavily in favour of the surgery and soon it will become number 1. Breast augmentation is fast becoming a fashion trend. Women from all types of backgrounds are paying large amounts of money for breast implants and breast lifts in order to improve their body shapes and “fit in” with the popular crowd. Naturally, the inspiration comes from movies and television commercials that feature perfect looking models and star actresses: Jessica Simpson, Salma Hayek and Pamela Anderson to name a few. Whether or not women admit to getting such a surgery done, it is usually almost always noticeable. The procedure involves the placing of an implant through an incision under the breast muscle/tissue. Implants may be inserted from the front of the chest or under the arm (and sometimes around the breast). These are of usually in the form of a silicone shell and is full of saline (or gel). Shapes and sizes differ from person to person. How the shape of breast turns out depends heavily on the implants. Sometimes the surface remains uneven or implant sides are more palpable and visible. 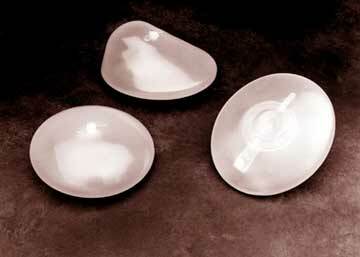 Post-surgery breast shape may be round or tear drop shaped. However, if the implant if placed under the muscle of the breast, chances of this happening diminish. Breast implants can be bodily or round: where bodily implants give an enhanced upper front portion after insertion, while round implants give a rounder look to the upper elements. Again, this depends entirely on the satisfaction of the patient and how they want to improve their look. Breast width is also an important factor that must be discussed before surgery, as the cleavage is significantly impacted by reshaping and resizing breasts. Atlanta Breast augmentation and implants count as both reliable and surgically sound procedures. Surgeons and clinic services both factor into a pleasing experience for patients. Implants are available both in silicon and saline, depending on preferences of the patient and suitability. Saline implants, which are filled after their implantation, can be changed in size even after the surgery by using a syringe to add or extract liquid. This gives you an added advantage. Silicone gel implants are not too recommended and are restricted in use because there was believed to be a risk of immunological disorders such as arthritis. From 1992 to 2006, the use of silicone implants was banned but after in-depth medical research, the link was found to be weak and the silicone gel implant was brought back into use. Although minimum, there are several risks associated with breast surgeries No surgical procedure is completely free of medical hazards. Both breast lift and breast augmentation require detailed consultation with a cosmetic surgeon who is able to judge what suits your condition best. You may have heard about inflatable implants or those that are pre-filled, and while both work equally well on most people, you may be better off with one and not the other. You must seek complete knowledge of your choice of procedure and collect ample information about your clinic and surgeon. Due to issues of ruptured silicone breast implants, women under the age of 22 are not recommended to opt for them, while women under the age of 18 should not have breast augmentation at all. After the surgery you should expect to feel some degree of pain (just like any other surgical procedure would cause). Since your natural shape has been altered, you may feel discomfort at first, but with time you and your body will get used to it. In the first two weeks after the surgery, it is suggested that you wear a bra at all times, and avoid lifting heavy weights (stitches will take some time to heal). After this initial phase, you will have adapted to the new change and hopefully be satisfied with your breast augmentation!